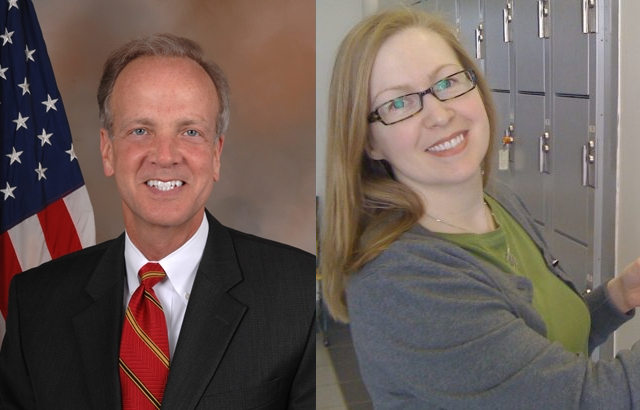 Republicans have gathered together around two top candidates, Jerry Moran and Todd Tiahrt, with Moran taking a conclusive 55-33 lead (MoE 3.7). I suspect Tiahrt will need some help if he wants a comeback in this race, because I only find a 1% chance he’s ahead if this poll is sound. As for the Democrats, four candidates are in double figures, making the situation on that side less clear. Lisa Johnston leads at 24 though, ahead of Charles Schollenberger at 16, Robert Conroy at 11, and David Haley at 11 (MoE 5.2). Still, despite the smaller lead and larger MoE, I find Johnston has a 77% chance of being ahead according to this poll. So the Democrats could have some huge shifts ahead given their four cornered race, but right now the pictured general election matchup of Moran and Johnston seems likely.